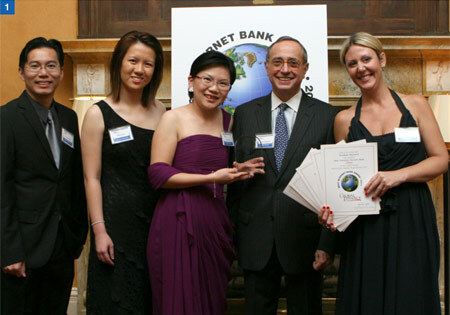 Representatives of most of the first-round winners of The World's Best Internet Banks awards joined Global Finance on November 3 at the Harvard Club in New York City for the ninth annual Best Internet Banks awards ceremony and dinner. Global Finance editor Andrea Fiano conducted the following interviews with select Internet bank winners at the awards dinner. The following photos were taken during the ceremony at the Harvard Club in New York.